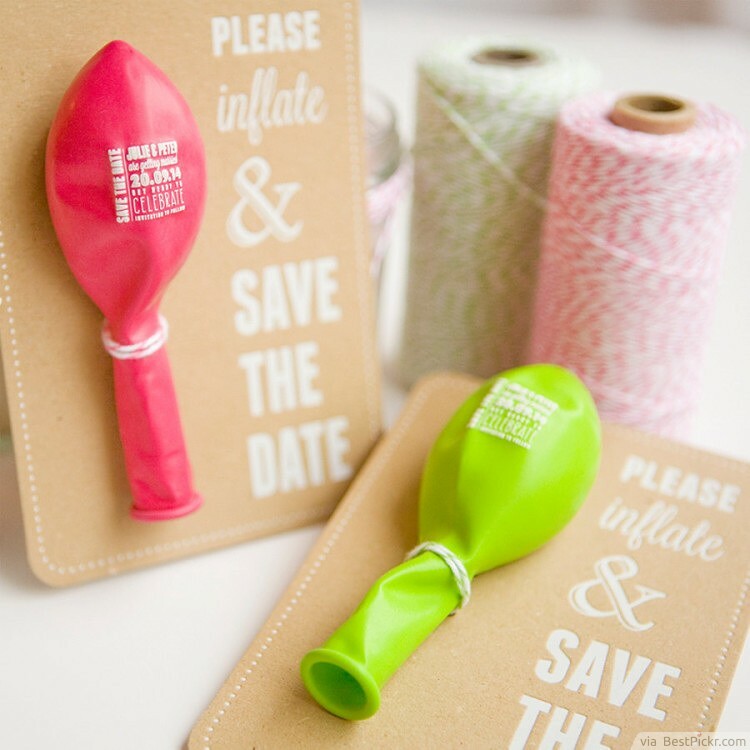 Ensure that your guests are enjoying themselves way before the wedding even starts by sending your invitations printed on balloons! The guests will have to blow up the balloon in order to read all the details of the invitation, which is a really quirky, fun experience. Of course, it can only turn into even more fun and amusement, with the inevitable game of not-letting-the-balloon-hit-the-floor that will ensue! How can you possibly not take notice of this invitation when it requires your answer! Guests who will be receiving this will truly take time to read it, he or she may even borrow a pen to tick the choices. Whatever their reactions are, their line of thought will be this: "If the invitation is this entertaining, surely, the wedding is even more fun!" 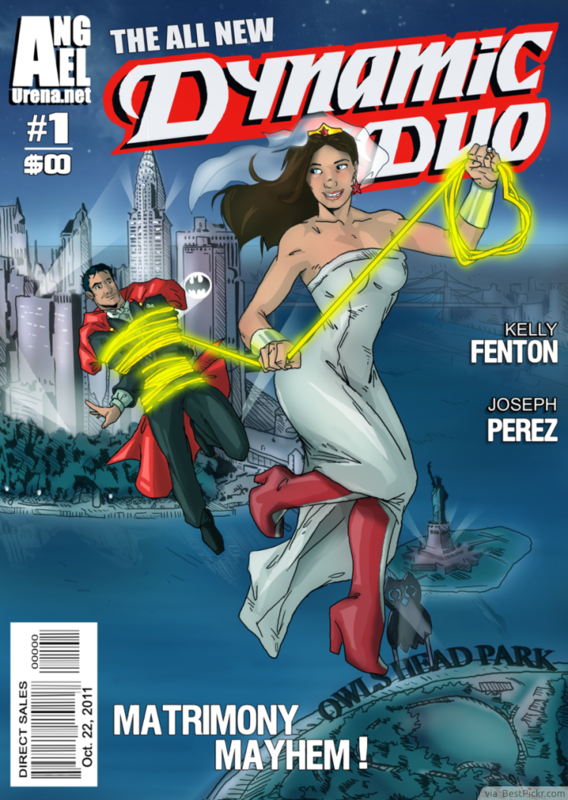 For hardened comic book fans, a great idea for funny wedding cards is to create an image that resembles the front cover of a comic. All the details including the names, date and location can be included, as well as an amusing flashy headline - and funniest of all is that the superheros can be made to look exactly like the couple! The image of the happy couple wearing capes will draw laughs aplenty from all the invited guests. Interactive wedding invitations really grab the attention of the guests, and turning them into scratch cards is a really good idea. Using a coin to scratch away some of the essential information like the names, location and dates is such a quirky touch that it's guaranteed to raise some smiles! It may not say a lot, but the funny wedding invitation wording on this card is really amusing. It's perfect for the bride and groom who know what they want to say, but who like to avoid all the fuss and flowery jargon that usually surrounds wedding preparations! For the couple it's straight forward and to the point; for the guests it's actually quite funny! 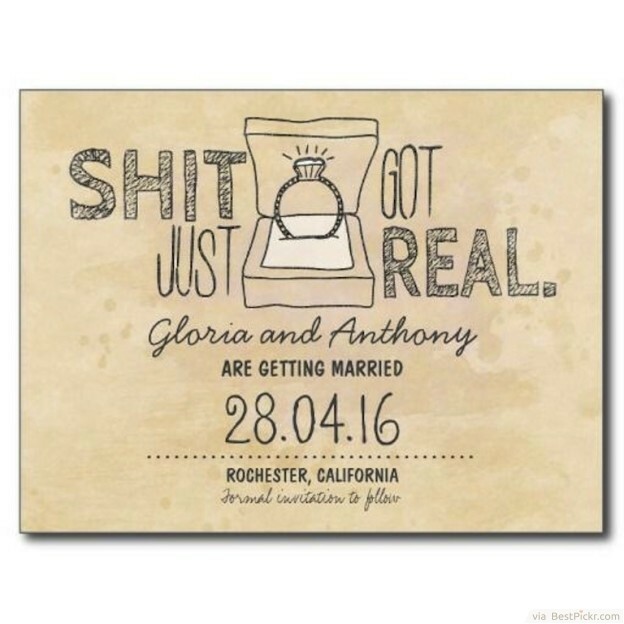 The surefire way of instilling fun into your wedding invitation is by enjoying it yourselves! So prepare the details on separate boards, and have your pictures taken. The funnier your faces are, the more entertaining the invitation will be! At first this looks like a normal wedding invitation featuring a beautiful picture of a loving couple. 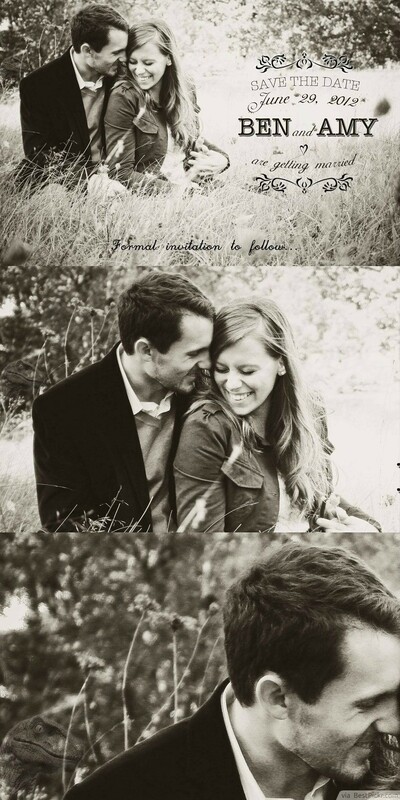 However, look closely and you'll see a velociraptor's face hidden in the corner above the groom's shoulder! It's a very funny little touch that clearly hints at the couple's playful side. Well, when you leave the man to arrange the invitations, what else do you expect but dinosaurs? 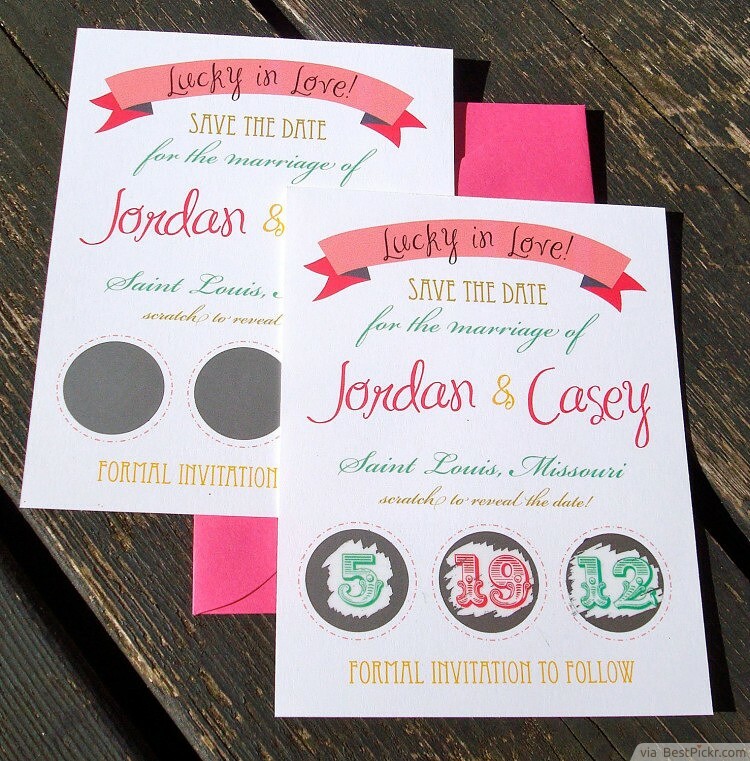 Traditionally, in days gone by, wedding invitations were sent out by the couple's parents. 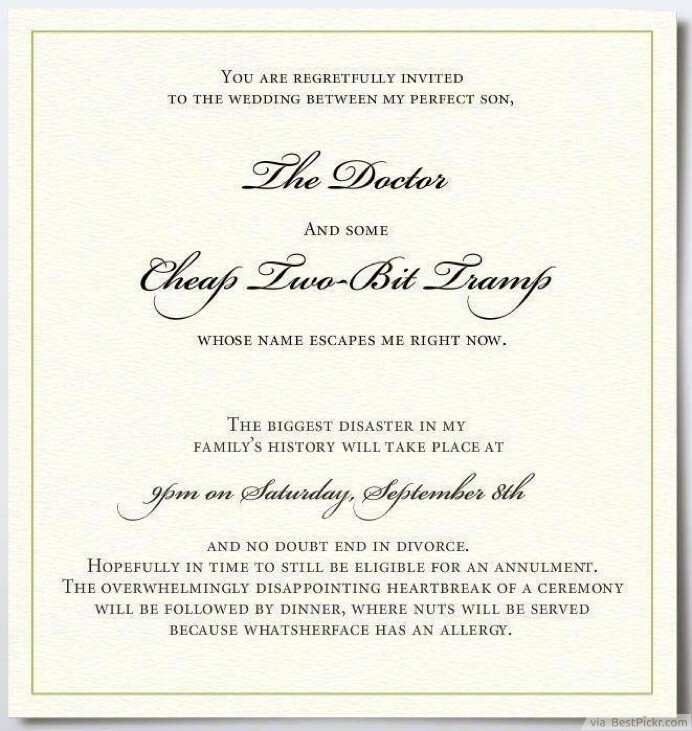 This hilarious tongue-in-cheek version of an invitation asking for a guest's attendance at a child's wedding gives us an insight into what some disapproving parents might really be thinking! The date is falling, save it! 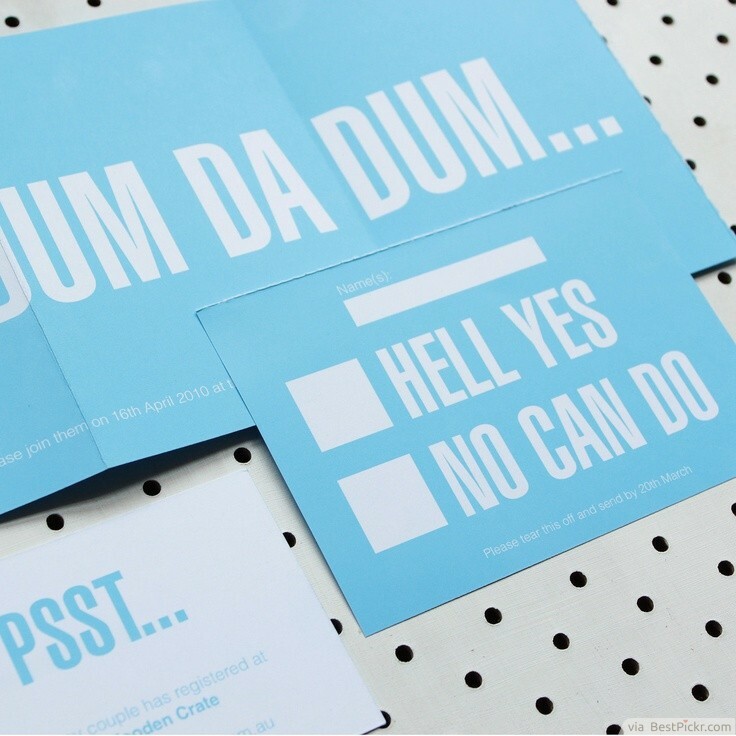 This invitation is so simple-- there are no complicated quotes, no bunch of photos, not even pop-up details of the wedding-- just the quirky side of the bride and groom to be. 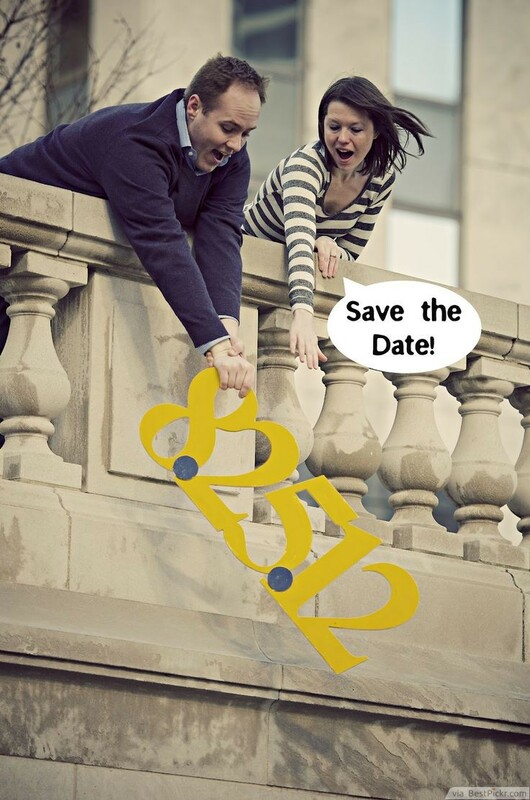 Your guests will surely feel heartless if they don't save the date... a really very effective invitation. 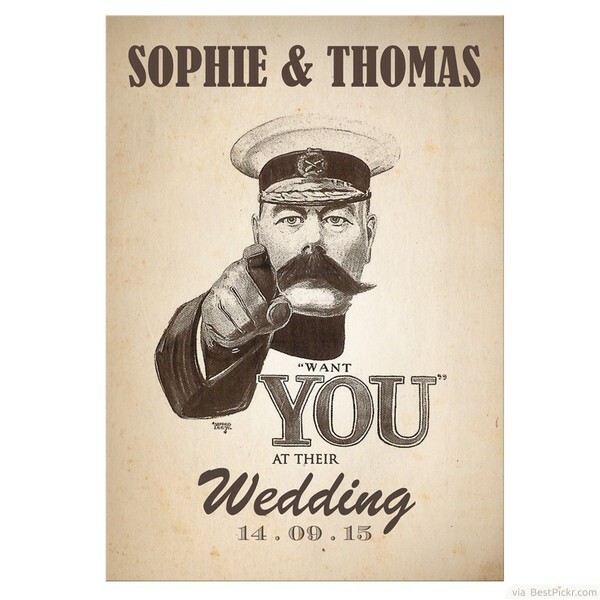 This twist on Lord Kitchener's infamous wartime recruitment poster is perfect for a vintage themed wedding. Its nod to the famous slogan saying that Lord Kitchener 'wants YOU' is highly amusing, which entertaining even the most serious of friends and relatives! 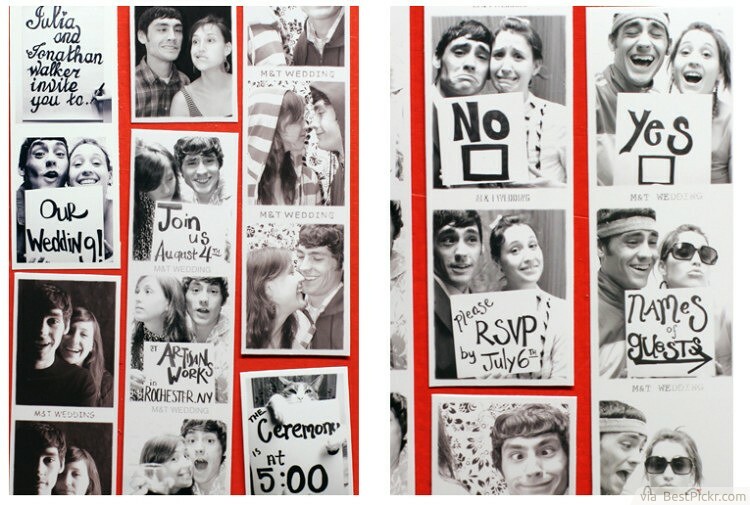 If you and your lover has one movie that you enjoy together, why not turn its poster into your invitation? You just have to add a twist where the title becomes funny, catchy, and witty. The best thing about this invite is that your entourage can join the fun! 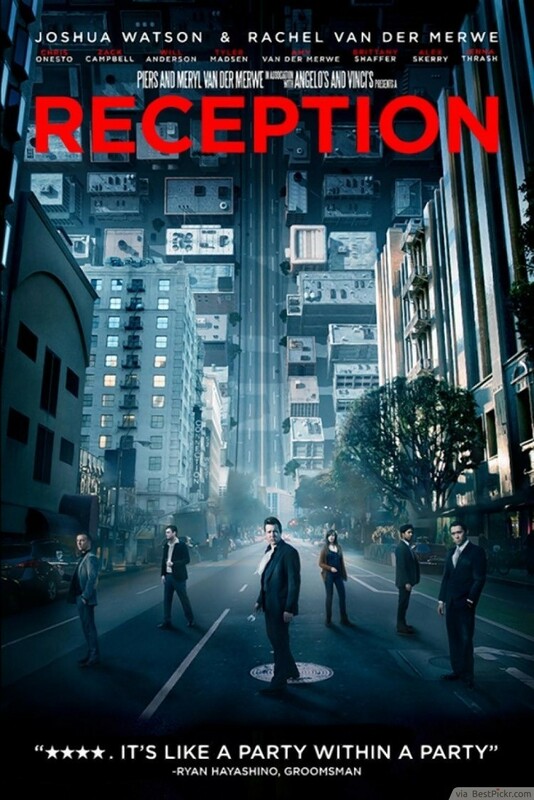 Your guests will absolutely look forward to the opening of the movie, oh, I mean the wedding date. Facebook and other forms of social media seem to be taking over the world these days, as is evident with these funny wedding card messages. The world has gone Facebook crazy, so doing the same for your wedding would be hilarious. 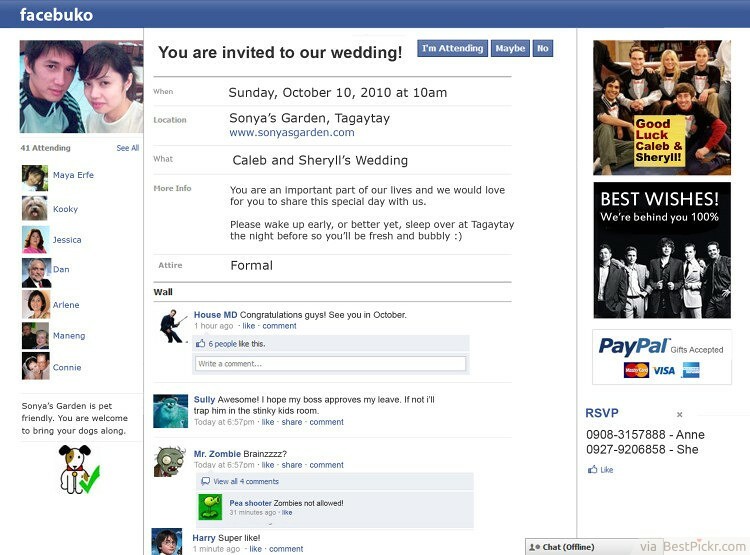 Display the invitation in a similar layout to events on Facebook, and be sure to include your photo and RSVP information. Your guests will have to look twice to make sure it isn't a print out of the real thing! 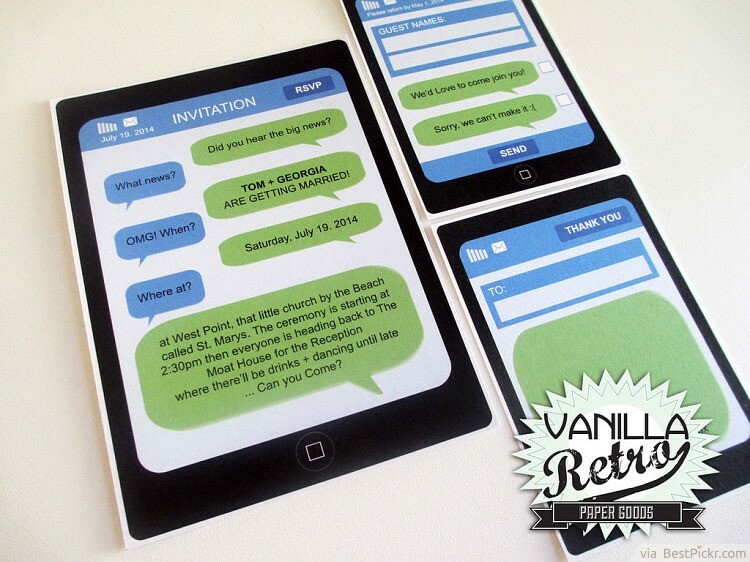 Perfect for a retro themed wedding, these wedding invitations are really fun. 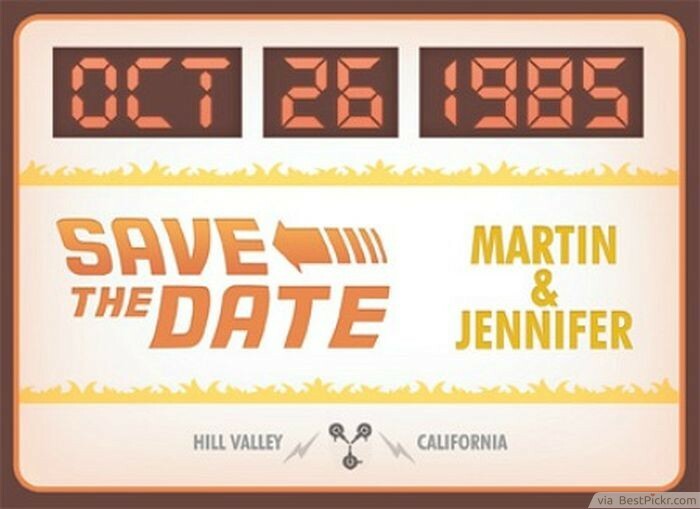 They are based on an iconic image from the Back to the Future film franchise, which has enough funny elements in itself to make for a really entertaining wedding invitation theme.